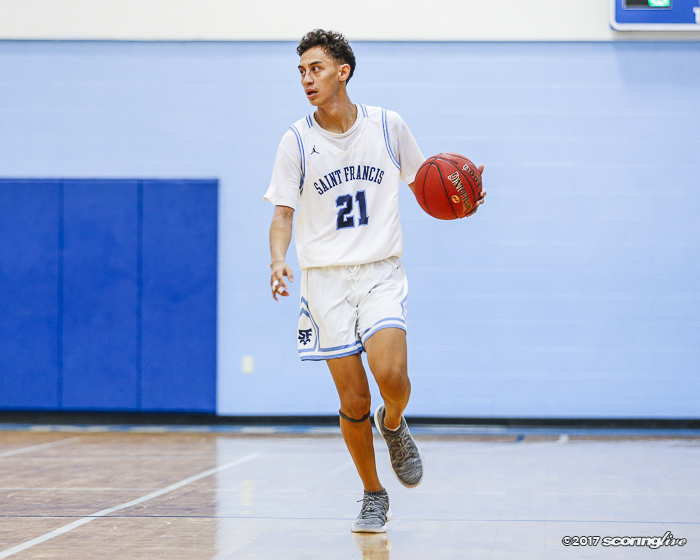 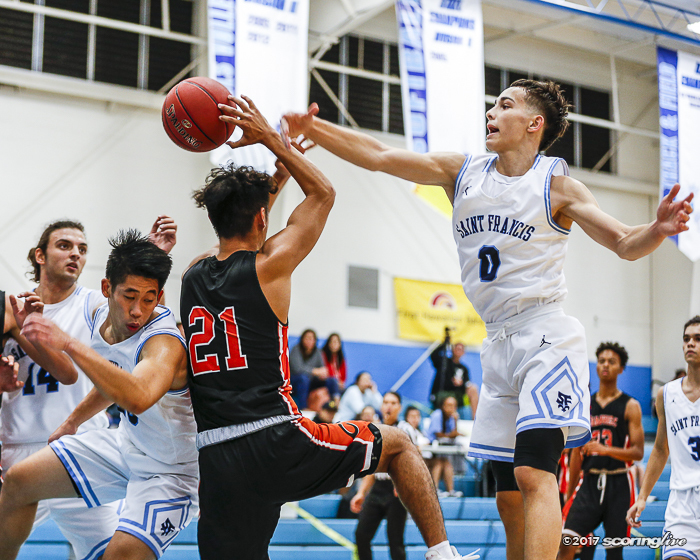 Saint Francis built an early lead to beat visiting Campbell, 72-62, in the semifinals of the Saint Francis Holiday Hoops Classic Wednesday night. 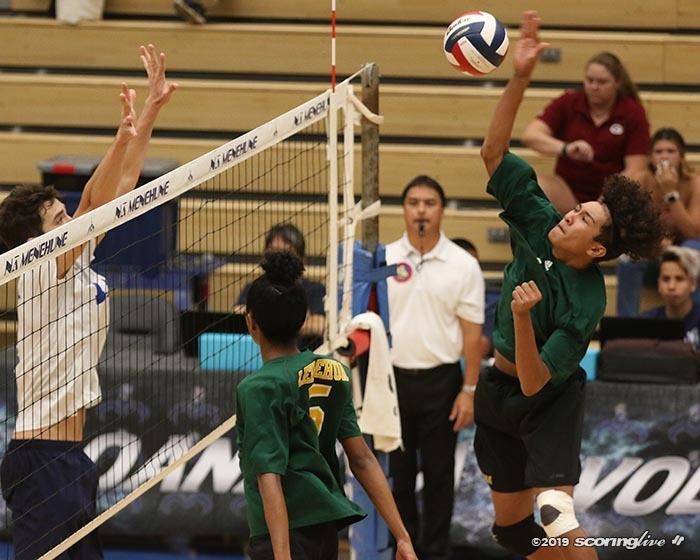 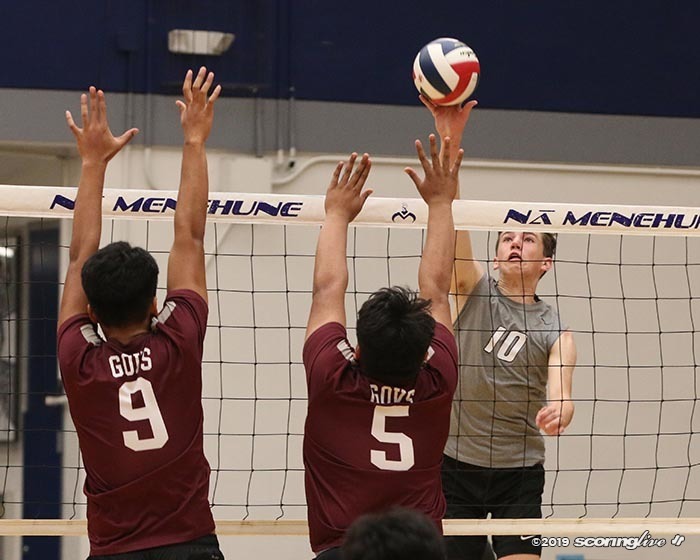 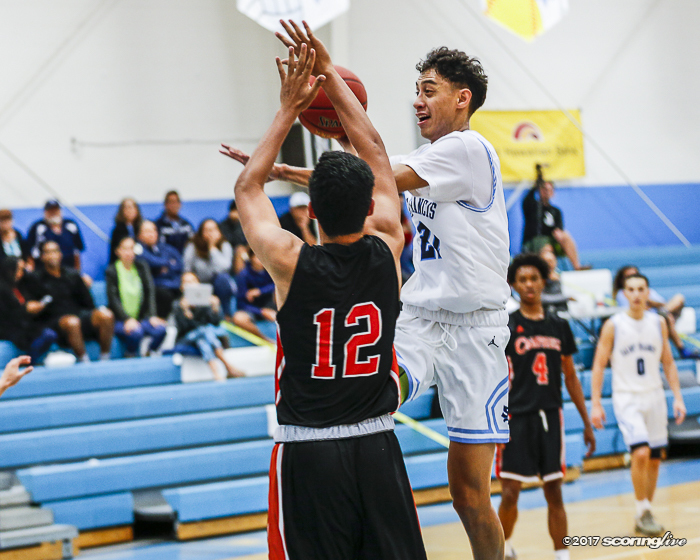 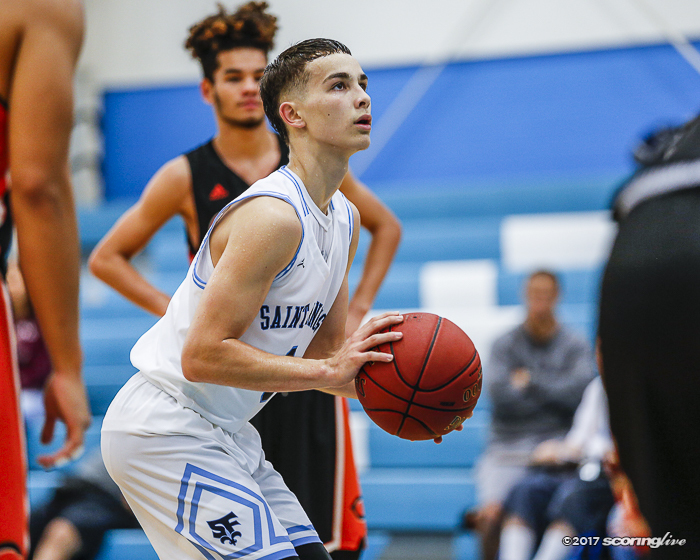 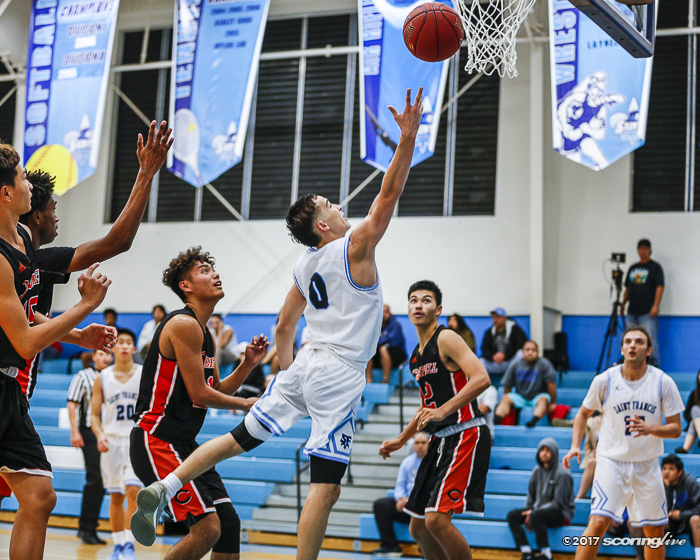 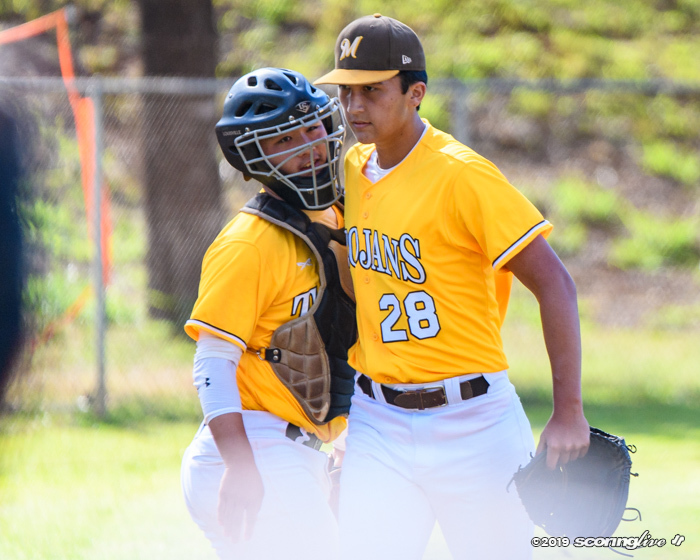 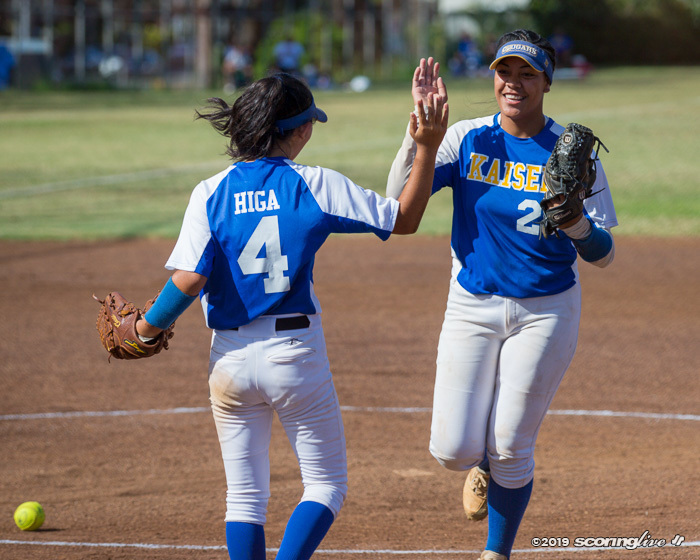 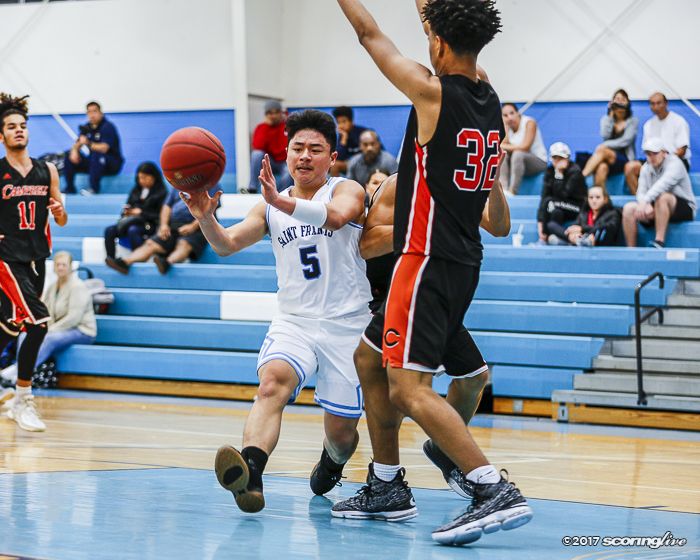 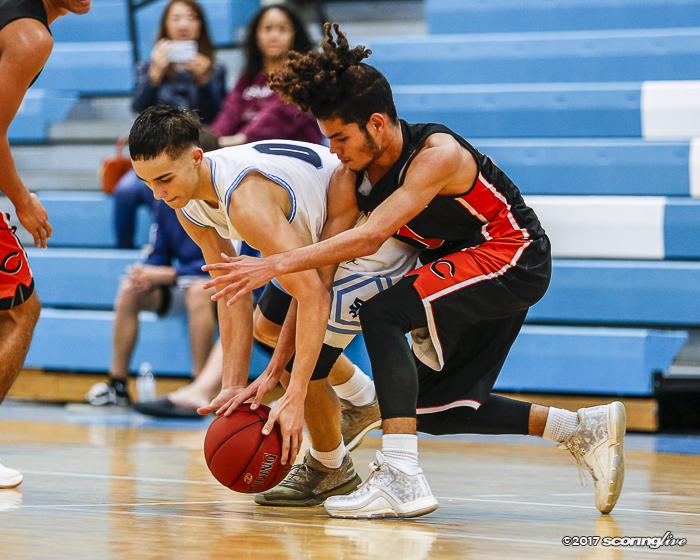 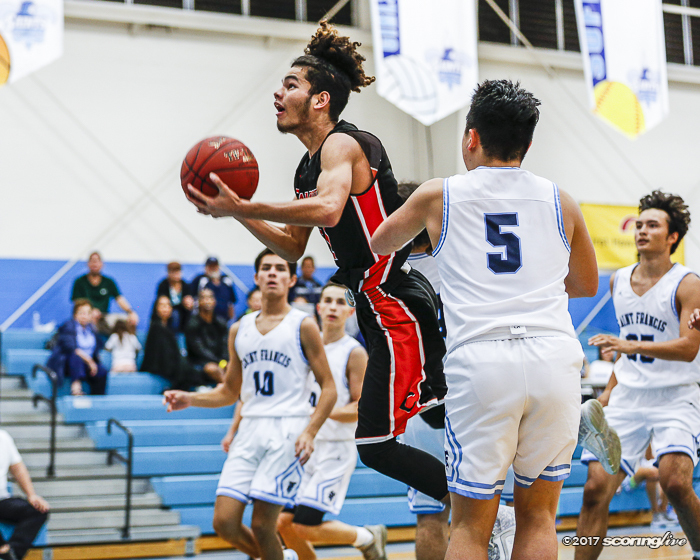 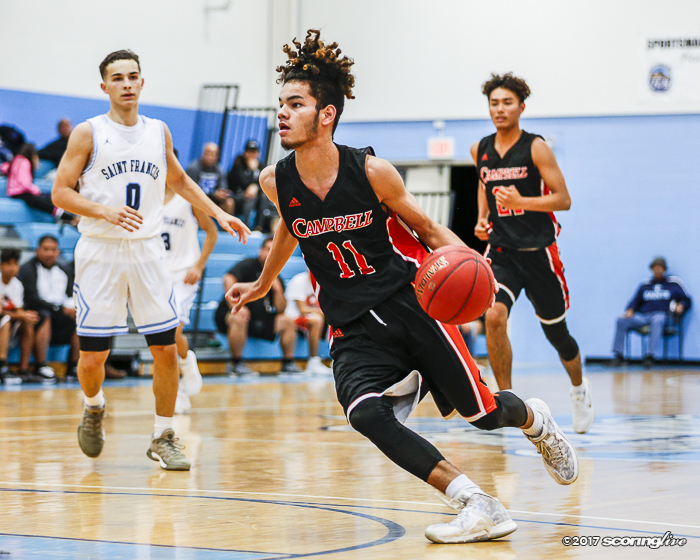 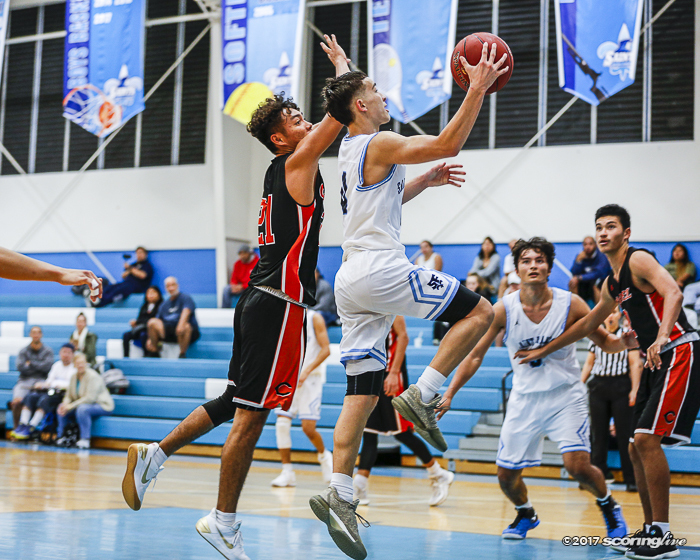 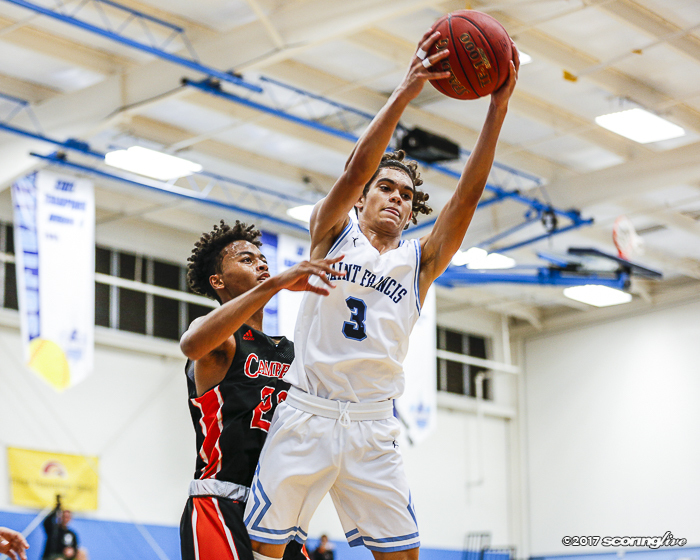 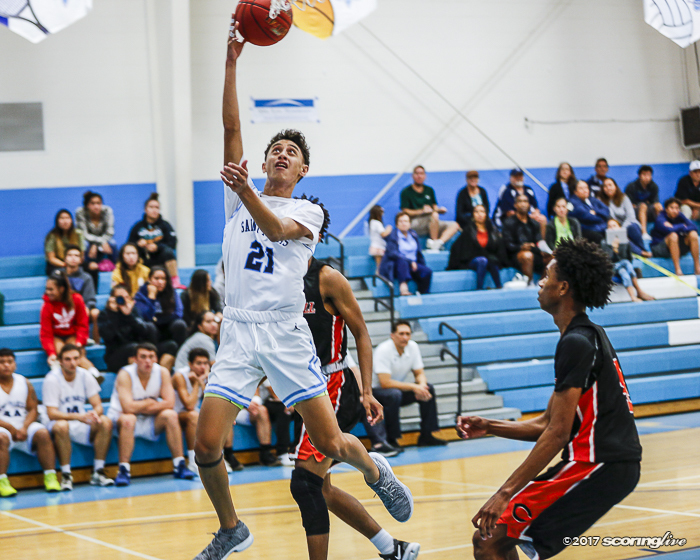 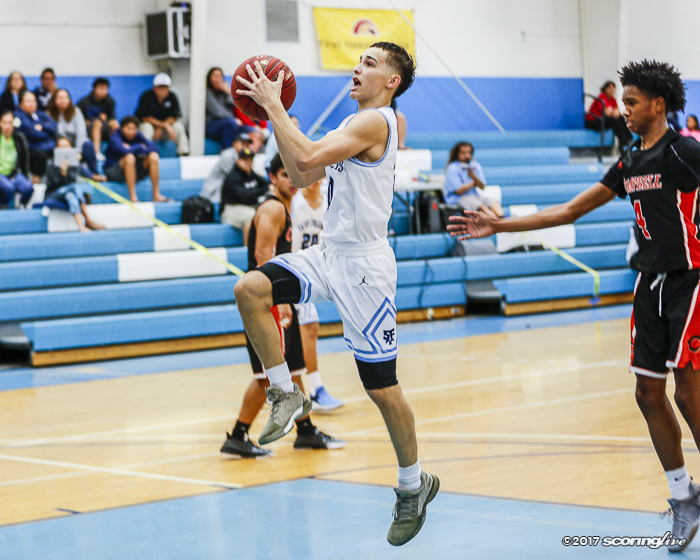 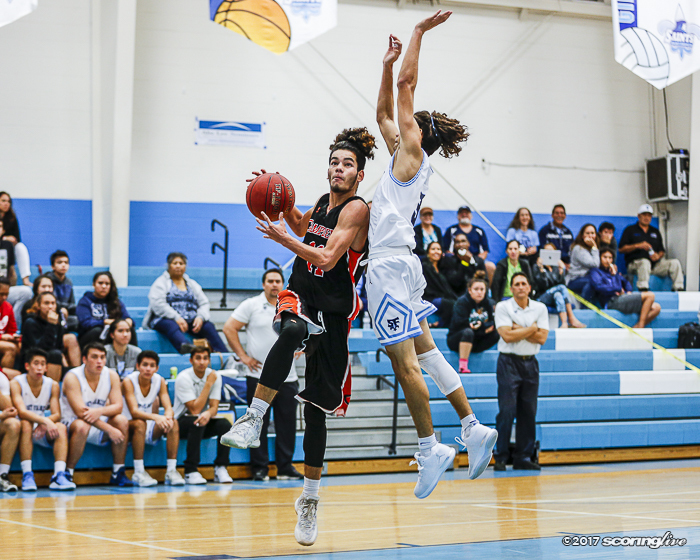 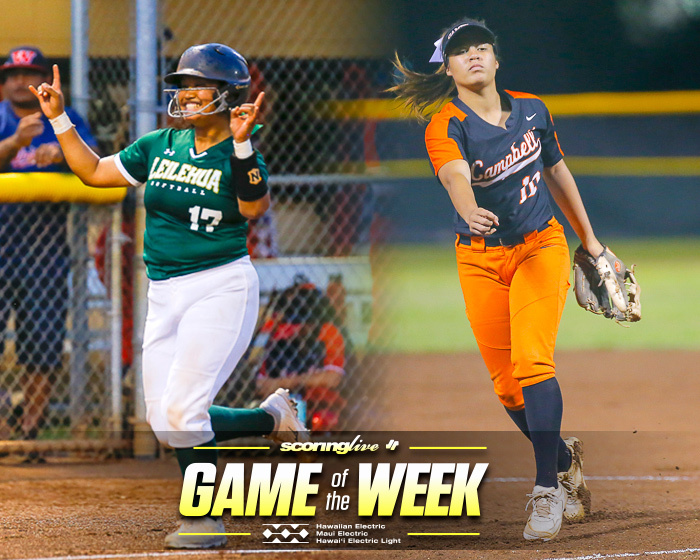 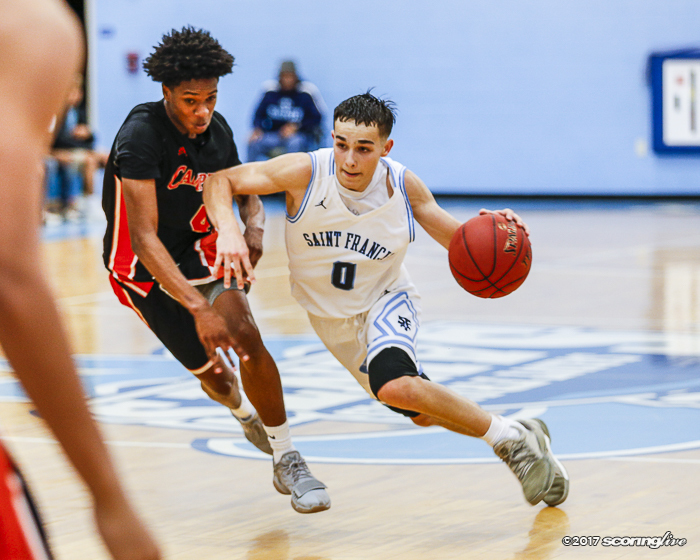 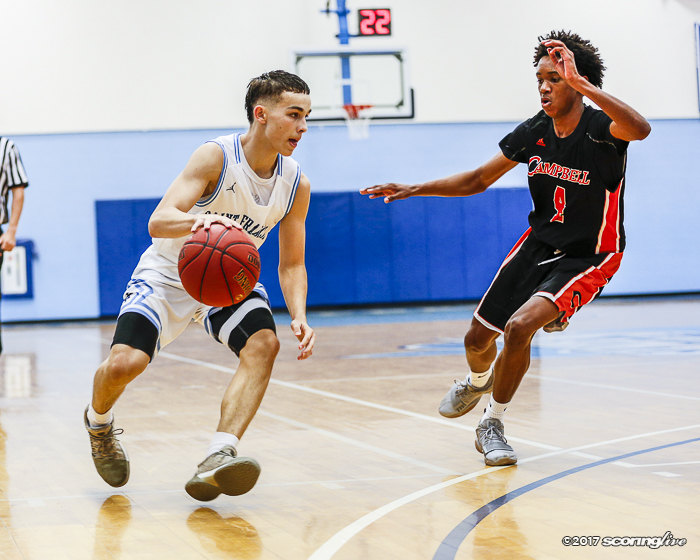 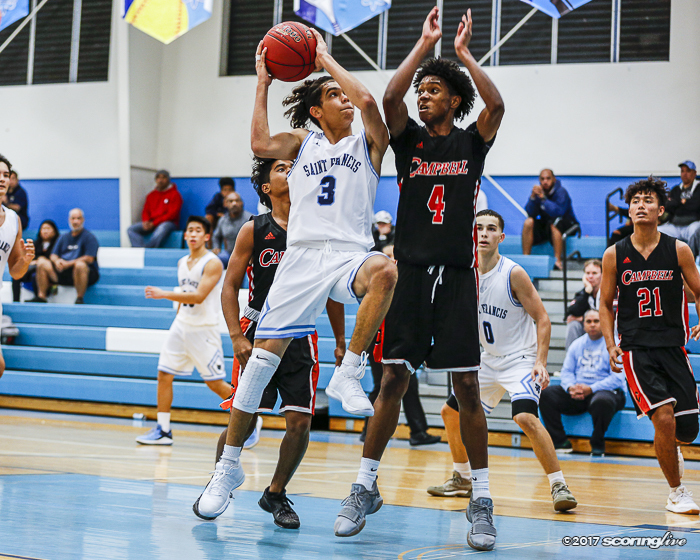 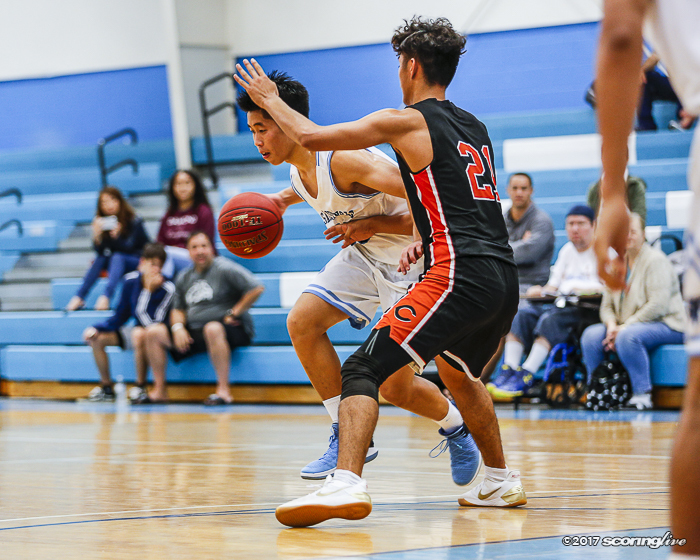 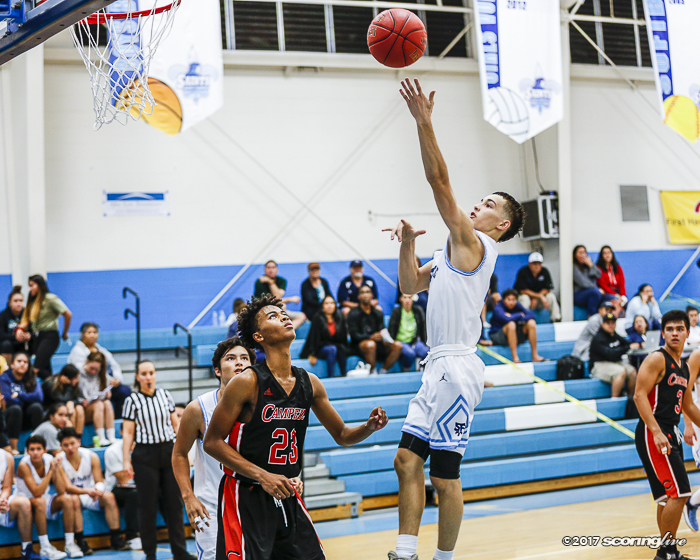 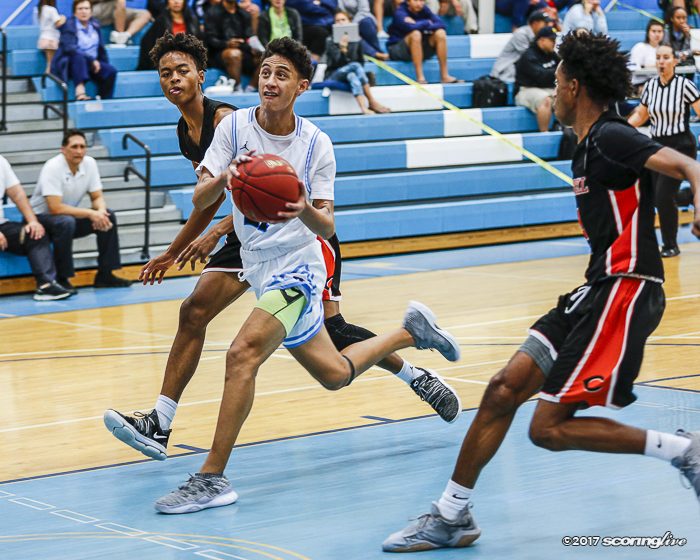 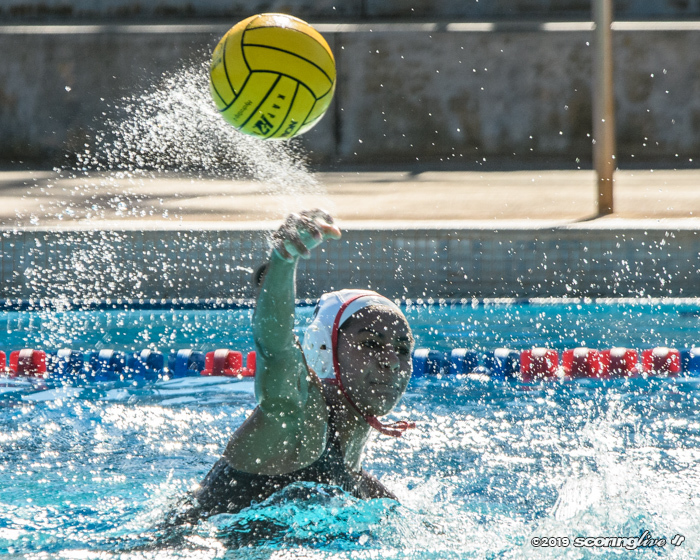 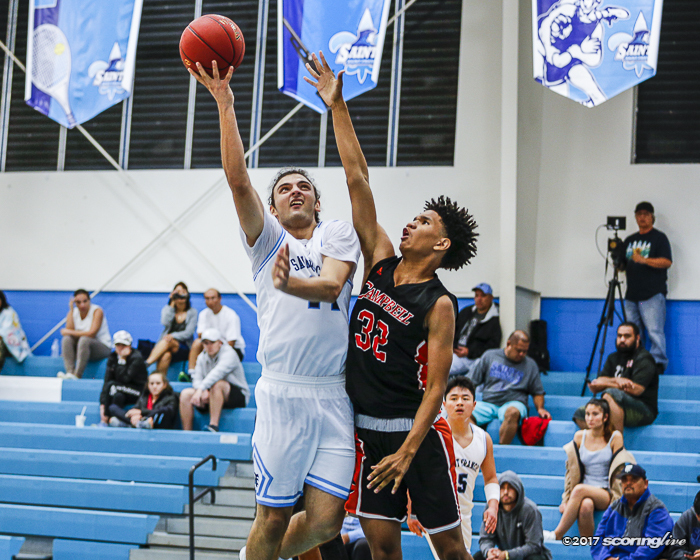 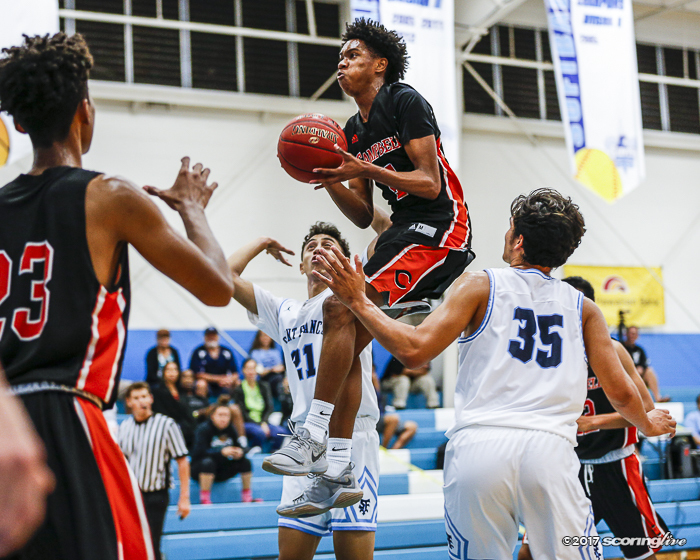 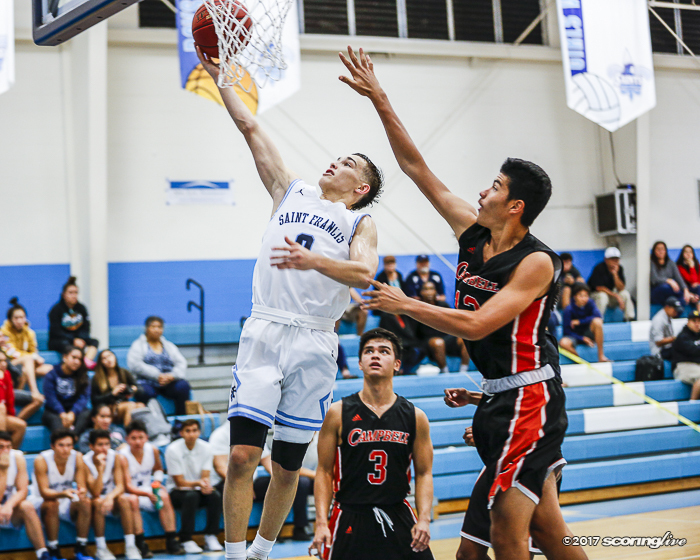 The Saints, ranked fifth in the ScoringLive/Hawaiian Electric Boys Basketball Power Rankings, held a 20-2 lead in the first quarter before Campbell was able to execute an offense. 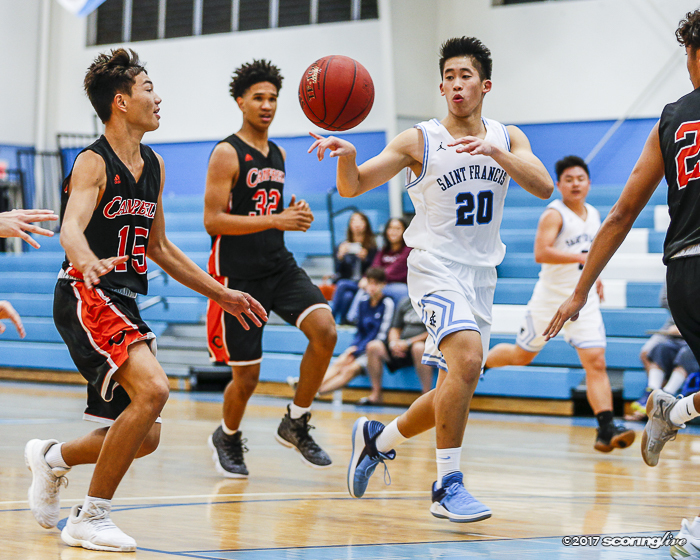 Kameron Ng, the reigning All-Hawaii Division II Player of the Year, led Saint Francis in the win with a game-high 30 points, 21 of which came in the first half. 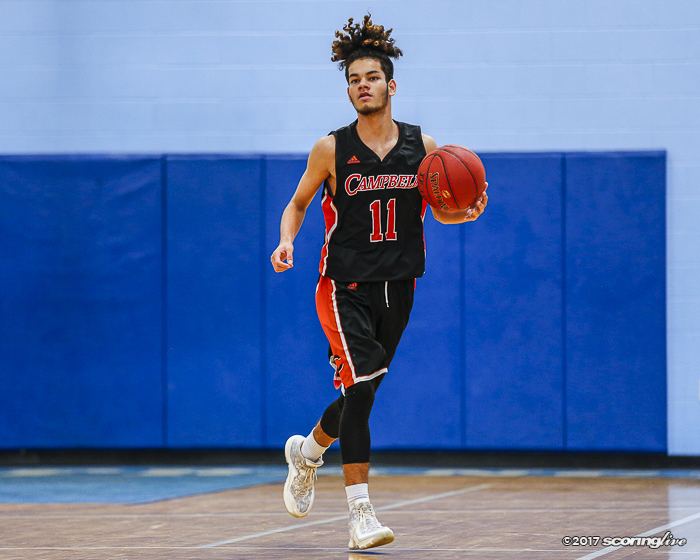 Ng knocked down five triples in the victory and also added six assists. 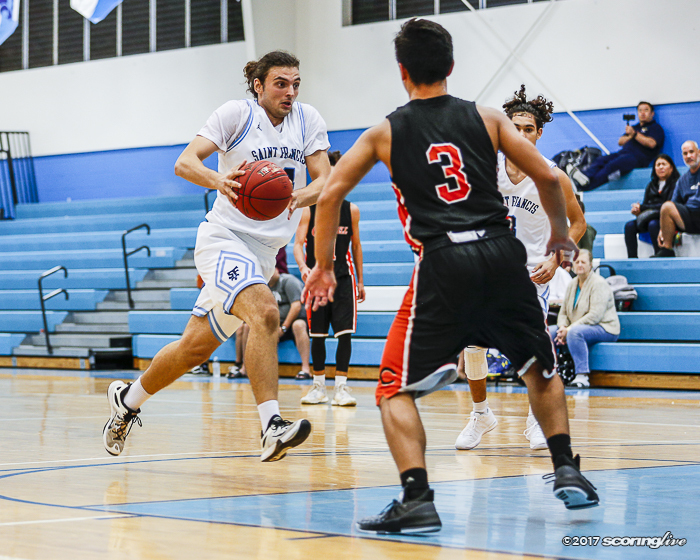 Boris Vukovic added 12 points and seven rebounds, Manoa Kualii-Moe had 10 points and Bubba Akana chipped in six points and a game-high 11 rebounds off the bench to round out the Saints' leading contributors. 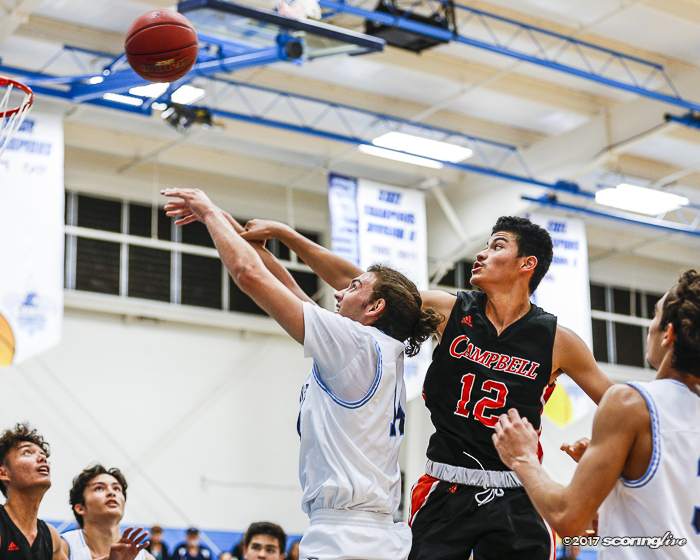 Campbell was balanced in the loss, seeing four players reach double figures. 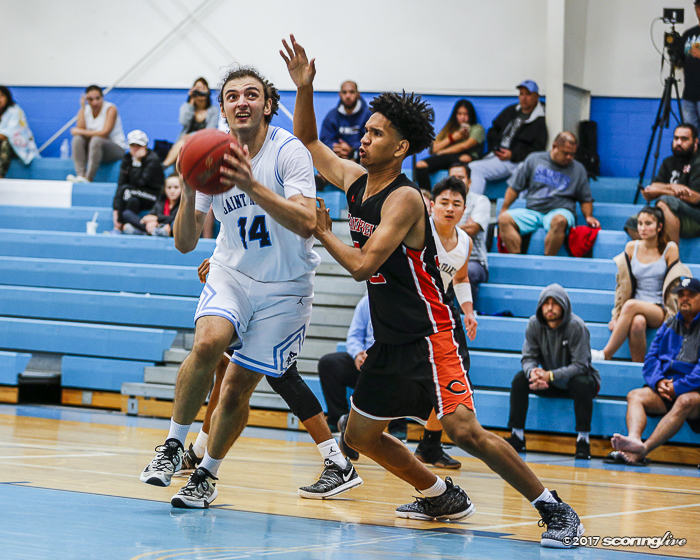 Robert Hutchinson posted a double-double of 21 points and 10 rebounds while Larsen Jones drilled five treys to lead the Sabers' effort.